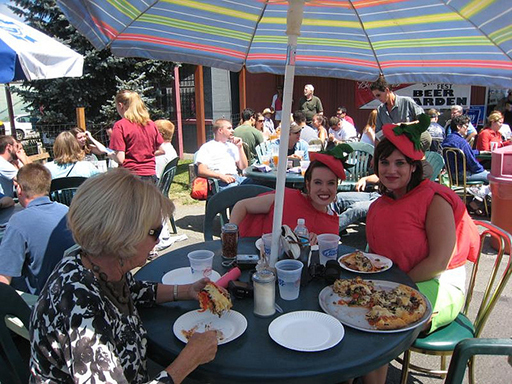 The Strawberry Festival is a century old tradition that is enjoyed every year by locals and visitors alike. Each July thousands of visitors flock to the Island to enjoy the sweet scented festivities. 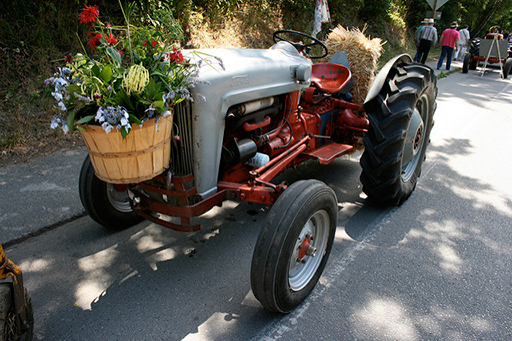 The festival is a celebration of the days when Vashon Island was jam-packed (pun intended) with strawberry farms. Farmers would ship tonnes of fruit from the island to the mainland each year. Although there are still some strawberry farms on Vashon Island today, many farmers have diversified and now grow many other varieties of fruit as well as other artisan products. The festival is filled with entertainment and activities for all ages. Over 200 art and craft vendors display and sell their wares in market stalls. There is a Classic Car parade and street dances as well as other live entertainment. For a great family outing you can take the kids to the Vashon Village Carnival which is packed with rides and games for all ages. Not just limited to the festival but throughout the summer months you can visit some of the farms and pick your own fruit. What better way to create memories with your kids than getting sticky fingers picking fresh fruit right from the ground? Too many kids these days think that milk comes from a carton and have never experienced fresh grown produce. Markets are regularly held on Saturdays with farmers selling their fresh produce directly to the public as well as locals with stalls of homemade arts and crafts. Vashon Island is a quaint rural place aided by the fact that there is no bridge to the mainland. The only way to get to and from the Island is be ferry or boat. The ferry is quite fast and the ride is very smooth so you needn’t worry about getting seasick. It’s also very affordable with the trip over costing you less that what you’ll spend on lunch. There is a small airport on the island however there are no regular flight services that operate. There are very few vehicles on Vashon Island which adds to its old fashioned charm. You can bring a bicycle over on the ferry or you can hire one when you arrive on the Island. Cycling is a great way to get around and see the island which is only 37 square Miles in area (96 km2). The main town is only 5 miles (8km) from where the Ferry docks and there are convenient bike tracks all across the Island. The locals are quirky and proud of it as you’ll soon notice as you explore the island. Unique art work and sculptures litter the island as do small galleries and boutique stores. One of the famous local icons for instance is a bicycle in a tree! There’s a working Lighthouse that you can visit and many picturesque beaches to explore. The kids will love searching rock pools for small crustaceans and other sea life in the shallow waters. Bring your hiking boots if you’re up for a bit of walking along the hillsides to enjoy the views of the patchwork landscape of farm land. For true nature enthusiast you also can’t miss the Vashon Nature Centre Bio Blitz which is held in June. The Bio Blitz is a 24 hour event that involves volunteers collecting, identifying and cataloguing as many plant and animal species as they can find. Filled with wholesome fun and good old fashioned hospitality, Vashon Island is a wonderful destination for a relaxing and rewarding holiday.